David McQueen is an international speaker, executive coach and board advisor. His experience spans almost thirty years of speaking to corporate, public and third sector audiences. He has hosted conferences and awards in the tech and startup spaces across the world including Sir Richard Branson’s VOOM, Shell Livewire, Startups Awards, SFEDI, Social Enterprise and Unltd. 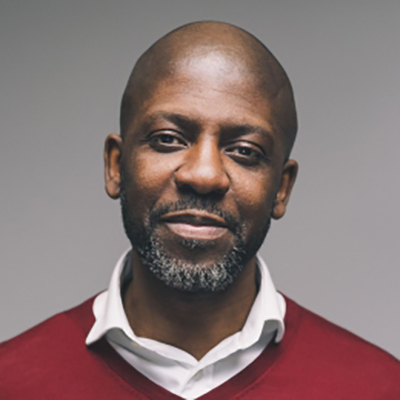 In addition he has pitched coached clients across Europe, through his company Narratively Ltd, to raise in excess of £100m More recently David is the founder of Legacy71, a tech incubator for Black Founders. His vision is for his company to part of a wider narrative empowering Black techies to take their futures into their own hands. David also hosts two podcasts, BRAVE Leadership on his own and Working Progress with his wife. He was also the Presenter on Virgin Media Pioneers and Channel 4’s Vocation Vocation Vocation.